Swinburne is pleased to welcome Professor Peter Choong (St Vincent’s Hospital and Peter MacCallum Cancer Centre) to deliver this year’s Chancellor’s Lecture, "A surgeon’s journey: Innovating cancer care through science, dreams and hope". At this unmissable event, the world-leading cancer surgeon takes us on a journey from bedside to breakthrough. How has technology enhanced cancer care? What does the future look like for those affected by bone and soft tissue cancers? As a visionary and pioneer in limb-sparing surgery, Professor Choong’s expertise has offered new hope to patients around the world. Join us as he offers a compassionate, insightful perspective into what it means to operate at the forefront of medical innovation that is changing lives. 6.30pm – Chancellor’s Lecture: A surgeon’s journey: Innovating cancer care through science, dreams and hope. 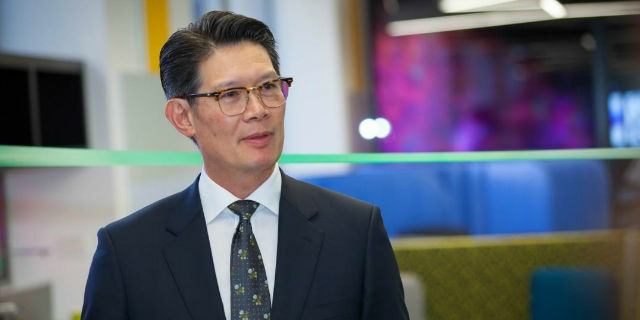 Professor Peter Choong is the Director of Orthopaedics at St. Vincent’s Hospital Melbourne, the Sir Hugh Devine Professor of Surgery, and Head of Department of Surgery University of Melbourne at St. Vincent’s Hospital Melbourne. Peter is also Chair of the Bone and Soft Tissue Sarcoma Service at the Peter MacCallum Cancer Centre. Peter is the recent past President of the Australian Orthopaedic Association. Professor Choong leads the Musculoskeletal research program at St. Vincent’s Hospital Melbourne which is driven by a multidisciplinary approach that brings together a coalition of cell biologists, polymer scientists, metallurgists, and surgeons into an arena that combines a number of platform technologies including stem cell biology, biomaterials, advanced bio-fabrication, additive manufacturing, mechano-biology and advanced medical imaging. Professor Choong is widely published with over 360 peer-reviewed article in the areas of arthritis surgery, the treatment of bone tumours and advanced limb reconstruction.